Comprising a famed attack upon the heights which crucially overlooked the plains of Artois the Battle of Vimy Ridge saw the Canadian Corps sweep away firmly entrenched German defenders on 9 April 1917. Some 12km northeast of Arras Vimy Ridge gained early importance during the war on account of the heights which overlooked the Allied-held town. German forces seized control of the ridge in September 1914 and promptly constructed deep defensive positions comprising bunkers, caves, passages and artillery-proof trenches, heavily protected by concrete machine gun emplacements. With such formidable defensive precautions in place the German army rapidly set about the steady destruction of Arras, pounding the town with heavy artillery - apparently with impunity. French attempts to grab control of the ridge throughout 1915 were bloodily repulsed with the loss of some 150,000 French casualties. Although the British relieved French operations in March 1916 they were pushed back along a 2km front before they could commence aggressive planning. There matters lay pending the wide-scale Arras offensive scheduled for the spring of 1917. 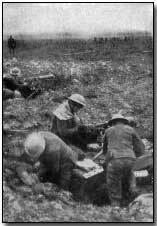 As part of this offensive the Canadian Corps, operating under British General Julian Byng - were tasked with the decisive recapture of Vimy Ridge. In preparation for this the Canadians constructed miles of tunnels through which troops could pass in readiness for the opening of the attack without coming under shellfire. Aerial reconnaissance using observation balloons ensured accurate news of German movements. 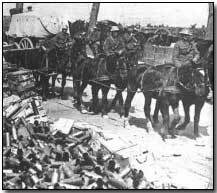 At dawn on the morning of Easter Monday 1917 - 9 April - the Canadian attack comprising four divisions began following a heavy three-week British artillery barrage and was supported by a well-devised creeping barrage. Within thirty minutes the Canadian 1st Division, under Arthur Currie, had succeeded in capturing German front line positions in spite of a snowstorm; within a further half hour the second line had similarly passed into Canadian hands. With the entire ridge wholly under Allied control by 12 April (when Hill 145, the highest feature on the ridge, fell) the operation was judged a spectacular success, the single most successful Allied advance on the Western Front to that date. The ridge remained in Allied hands for the remainder of the war. It did not come without cost however: 10,602 Canadians were wounded during the attack, and 3,598 killed. The opposing German force suffered even more heavily: 20,000 casualties. Julian Byng later served as Canadian Governor-General, and Arthur Currie was knighted for his wartime services. Four Victoria Crosses were awarded as a consequence of fighting at Vimy Ridge: to Private William Milne, Lance-Sergeant Ellis Sifton, Captain Thaine MacDowell and Private John Pattison. Click here to read a memoir of fighting at Vimy Ridge. Click here to read the official reaction of the Canadian War Records Office. Click here to read British war reporter Philip Gibbs' account. 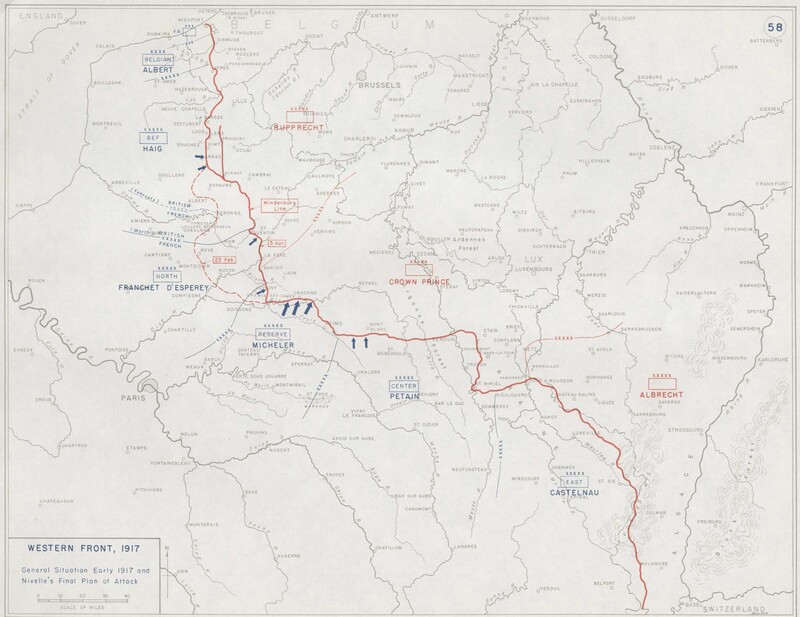 Click here to view a map of the opposing lines on the Western Front in early 1917. A "Grand Slam" was British slang for an impending attack or battle.